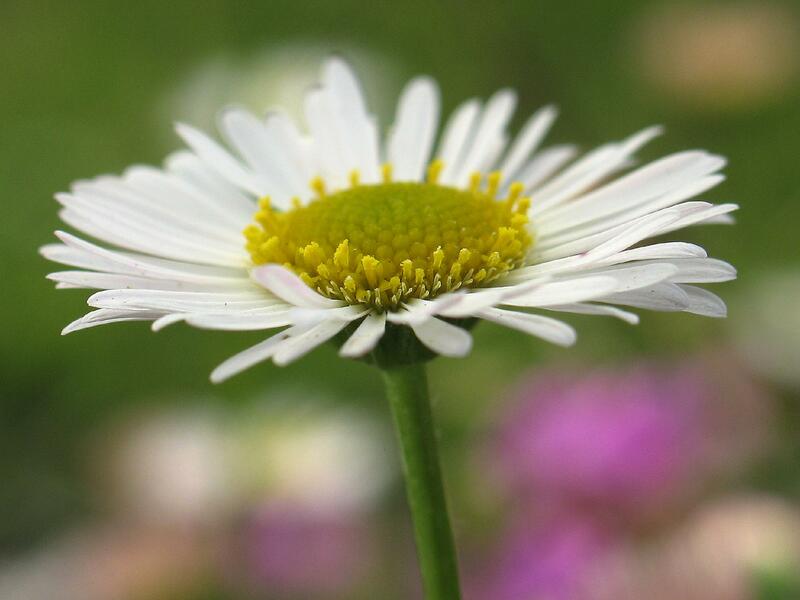 Stigma – Infinite Sadness… or hope? I don’t reblog often. Actually hardly ever. But Rachel Griffin’s post here makes for some great reading. and so I have broken my rule. It’s long, but well worth making it a ‘must read’. 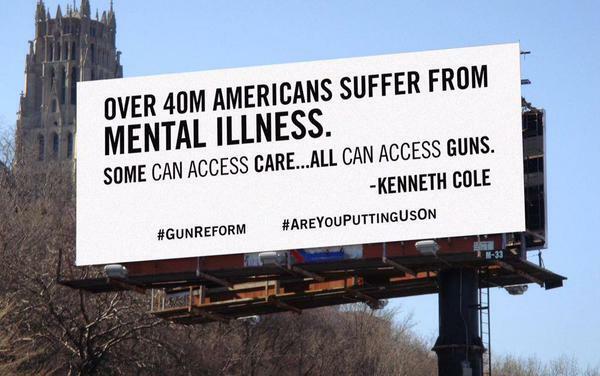 I normally post online about Muppets, coffee, musicals and cats, (not Cats the musical, the furry-animal-kind) but recently all I’ve been posting about is the Kenneth Cole billboard that links mental illness and gun violence. Why? #1 Because it perpetuates mental illness stigma. #2 The effects of that stigma are devastating. Yes, I am now on a tireless quest to get people to understand why the billboard basically ate my soul when I saw it. CRUNCH! Don’t worry- I recovered my soul, undamaged. Souls are really durable. I posted a blog critiquing the billboard on Facebook which was mostly ignored.. (got maybe 2 likes) I’ve had friends say, “What’s wrong with the billboard again?” I got 318 likes on another post.. but that one was about my hair. Sometimes you know that your time is up, and this is that time. It’s time to hang up my blogging ‘shoes’. I have been blogging on this site for just over three years. It’s been a great ride. Well most of it, anyway. In the few years before I reached my 40th birthday (a ‘few’ years ago) I was somewhat addicted to long distance running. This was very definitely a stint of over-exercising for me. Tell me that I was a “jogger” as some people liked to call themselves, and I was offended. I was a serious runner, in it for the long haul… literally. My very expensive running shoes in retirement. I wasn’t much into events. Running with masses of people destroyed the peace of running for me. I did a few races but it just wasn’t for me. However my great aim was to run in the Christchurch Marathon in 2005. I did it, but only just. Within the first kilometre I pulled my right hamstring. Stubbornness (and addiction) kicked in, and although I was in an extreme amount of pain, I decided to keep running. Actually I was used to running in pain. My knees never coped with long-distance running. I was doing the half marathon so only had around 20 kilometres to go. Of course, the further I ran the worse the pain got. I never got to that “break through the wall” stage, but I simply kept running. At the beginning of the last lap, the bell was sounding, just in case I didn’t know I was on my last lap. Oh, I knew. By then I was counting every metre, but the sound of the bell told me I just had to run through this park and down the road to the finish line. I did it. I couldn’t walk for the next three days. But I did it. I admit that this past year of blogging has been a little like that for me, sadly. I was somewhat addicted. I have loved blogging but I had hit some issues that were creating pain. You see, as you will realise I have been blogging under my own name. That has been very important to me, for a number of reasons but perhaps mostly because I have always believed that until we can speak out in our own names, we won’t crush the stigma of mental illness. Ok, so I admit defeat (for now). It’s not so much outright stigma that hit me, but the very real difficulty of protecting the privacy of those I care about. That wasn’t just my family, but those who were having an impact on my life, and that I wanted to include in my writing here. Mostly I just couldn’t, unless (as you would have witnessed on a number of occasions) I wrote a very vague, cryptic post. Sometimes that worked. Sometimes it didn’t. Stigma came in as a second issue, in ways that I hadn’t expected. Stigma is so much more than a public issue. It is also very personal,painful and sometimes used against us in ways that anyone even realises. That’s no excuse, but it is a very real explanation of some things that have gone on for me, particularly in the past year. Calling it quits to blogging on this site is really difficult. My site is me. Do you know that feeling? It’s me in so many ways, but now I leave it. It is something that I have considered long and hard. Unfortunately it is my only sensible choice. I have been silenced (for want of a better word). To my readers, and perhaps particularly those who have followed this blog for a considerable amount of time, I want to say thank you. Thank you for reading, and thank you for your comments. Thank you too, for the ‘likes’. Whatever way you have opted to interact with me, thank you. You are the people who made blogging worthwhile. 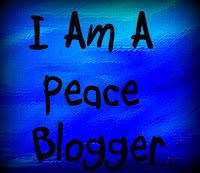 Thank you for making blogging an amazing experience for me. So what of the future? I don’t know where the future will take me. I simply have to admit that this race is finished. My feet (and my hamstring) are sore, but there is a future (somewhere) ahead. Time will tell where that future will lead. I Am Not A Demented Chameleon! Do you remember back in the playground when the overweight kid got called “fatty”? And the one who told some fibs was branded “liar”? There were endless names that children named other children without a care in the world. We (and yes, I probably was one of them too) didn’t know how hurtful those names could be. Perhaps half the time we didn’t even know what the words meant. We had simply heard them from others, and thought we’d give them a try ourselves. I think it’s where the re-phrased “sticks and stones will break my bones but names will always hurt me” fits. And yes, those names did hurt. Today, I and all my friends who have Borderline Personality Disorder (BPD) with me, got called names. We were called ‘demented chameleons‘. Apparently Borderlines (like Sociopaths) they said, are ‘demented chameleons‘. The original name was tossed at sociopaths (as the site was focussed) and my thoughts about that are another issue I just got angry when I saw someone throw Borderlines into the fire, calling us the same name, with probably no thought at all. It’s something that I can walk away from. I’m used to it. This type of name-calling happens for people with BPD all the time sadly. Actually it happens to all people with mental illness all the time. I can walk away and that’s what I did. The person who labelled me a ‘demented chameleon‘ probably doesn’t personally know anyone with BPD, and simply read it somewhere on one of the awful websites that set out to degrade us. It is probably a combination of stupidity and ignorance… and so it deserves my walking way. The difficulty I am left with though, is that ignorant comments like that get read by others, and believed. It’s what builds up the stigma against both BPD and mental illness as a whole. That’s what really gets my blood boiling. How dare they blast me with their stigma but also contribute to the overall stigma that all of us with mental illnesses face. This is my idea. For each time I see such a combination of stupidity and ignorance, I need to post here, my opposing view. Maybe it might not be the same people that read both accounts, but in my world one can still outweigh the other regardless. If people choose to feed the world with negative views of me, then I can feed the world with the positive. Does that mean you are going to be reading posts like this everyday? No, that’s not my intention. But when my blood boils, I need to speak out. People with BPD are not ‘demented chameleons“. If you stop to get to know someone with BPD you will find that actually we are beautiful people. We are generally very caring people. That’s part of our disease. But we are not demented. While we may change aspects of ourselves in how we come across to the world. we are not cynically one thing one day and another tomorrow. Moreover that changing does not happen out of an intent to hurt and manipulative. It is simply who we are as we battle with the internal struggle to own who we are. It’s not easy having BPD, and name calling such as this doesn’t help us. I suspect that most people have no idea about BPD. The label tends to draw a blank expression on the faces of those who hear it. BPD is not well known (like say, Bipolar) and is certainly not well understood. But I will not sit quietly and see myself and my friends named as ‘demented chameleons‘. That simply comes from ignorance. And now having said that, I walk away and breathe. Frankly, the people who choose to live in such ignorance are missing out on you and me. Emphasis on the missing. I almost feel sad for them. Ending on a lighter note… I have been called a ‘demented chameleon‘ but I’m still waiting for the ‘incorrigible’. Image credit: Used with permission of Sue Fitzmaurice. PS. Victory after Publishing. I’m happy to see that the offending material has now been taken down. I knew it was a hymn often related to the Navy, and I knew it was old (written in 1861) but I really had little idea of what the words we were singing meant. Wikipedia tells me it is something related to Psalm 107 about those being shipwrecked and calling for God’s mercy. My thinking is that those in peril on the sea had no hope, and the issue of being no hope (sometimes) has been weighing heavily on my mind this week. It was two and a half years ago that a man collapsed in my house and I had to perform Cardiopulmonary Resuscitation (CPR) on him in an effort to save his life. I did CPR for 20 minutes. If you’ve ever had to do it, you will know that it is an extremely physical procedure and in that time I completely exhausted myself. But I had no thought that there was no hope, and so I kept on. At one stage I heard a rib crack, and I thought ‘Dad is going to be really sore tomorrow with his cracked ribs I’ve just given him‘. Still, I believed there must be hope… and so continued. Eventually paramedics arrived and took over. They continued to perform CPR for another 20 minutes before telling me (and my mother who was watching all this) that there was no hope. He had gone. My Dad had died. What was I hoping for? I guess that the treatment I (and then the paramedics) were giving him, would revive his heart and bring him back to the person I knew. To bring recovery. I wanted him to be saved from his ‘peril on the sea’. Then I started thinking about hope and how it applies to mental illness. It’s something I talk about regularly because I believe that having hope is what makes the difference to me getting through my mental illnesses. For me, there is hope of treatment, both pharmacological and psychotherapeutic. My main diagnosis of Borderline Personality Disorder (BPD) is a little tricky because as it forms part of who I am (my personality) it can’t just be removed. For me, management of the symptoms of BPD is what I hope for, and right now I am pretty much achieving. But is there that hope for all mental illnesses? Most of us at least have hope of management of symptoms , if not complete recovery but it’s occurred to me recently that actually that hope is not there for all illnesses. What if there is no medication known to treat the illness, and what if therapy is not known to be particularly effective? What if most sufferers actually aren’t motivated to seek treatment, even if it was available? While again, I need to emphasise that I am not qualified in psychology or psychiatry, and so I am speaking of my personal thoughts rather than proven fact, it does seem that there is little hope for those people. And I’m talking about four in every hundred people. This fills me with sadness because it is hard enough to live with mental illness when at least someone can see hope. It also fills me with sadness because people close to me are in that number and I desperately want hope for them. My heart is also filled with sadness because these people perhaps struggle against the stigma of mental illness the most. I haven’t named the illness purposely, because as a society there tends to be little, to no compassion for these people. They’re hardly even treated as people. But what if it were us? It’s not my role, or my desire, to be dictating who we should, and shouldn’t feel compassion for but I will tell you my own way of looking at this. Sometimes even people with mental illnesses (like me) do things that aren’t nice, aren’t acceptable and aren’t what healthy human beings would choose to do. I don’t like their behaviours one little bit. I don’t like it when innocent people get hurt. There needs to be appropriate punishment when crimes are committed. But that doesn’t take away from the fact that the people with mental illnesses who did these things are human beings. Look at it another way. We were all once innocent babies, who needed and deserved the best care in the world. For a million reasons things can go wrong, but we all still need and deserve care and compassion. They’re not monsters, but babies. That’s my way of looking at it anyway. I don’t write this post today because it’s a good topic to debate, but rather because it is something weighing very heavily on my mind right now… because of my personal experience. I can’t quite get my head around there being no hope for someone’s mental health, mostly because I had to cling onto my own hope (and others’ hope for me) for so long (and still). Maybe someone will tell me it doesn’t matter because the person probably isn’t motivated toward treatment anyway, but we all have families. While they might not always be perfect families, at least some of them would want hope for us. Some of them would not want us to be at ‘peril on the sea’. And I just can’t accept that these people should simply be left at peril.